Please send me more information on Moss Creek at, Hilton Head Island Thank you. Moss Creek is strictly residential with no public resort activities available. With just 1,045 home sites, 70 villas and a limited number of lots remaining for new construction, the Moss Creek community boasts a low-density, spacious and quiet environment. From 10,000 sq.,ft. waterfront compounds to executive golf view homes and smaller, low maintenance cottages fronting the equestrian center or salt marsh, Moss Creek provides numerous homeowner options. Moss Creek requires all owners to be members in the equity Moss Creek Club and cover the membership with a one-time Transfer Fee. Annual Property Owners Association dues and a Recreation Fee allow owners complete access to all Moss Creek amenities. Golf at Moss Creek is some of the finest in all of the Low Country, with its two championship courses, the par 72, 6,891-yard Devils Elbow South and the par 72, 6,555-yard Devils Elbow North. Both courses were Fazio-designed. Each course is lined with magnificent oak trees and tall airy pines, with strategically-placed sand traps, large ponds and water tributaries. Moss Creek also features a practice facility and a full-time professional golf staff. Moss Creek community amenities feature seven Har-Tru tennis courts at the Moss Creek Tennis Center, boat storage including 69 wet slips, and 93 dry storage areas, the Fording Island Nature Preserve, a deep-water marina, a beautiful 14,000 square foot Clubhouse, the casual waterfront Bostwick Pavilion, marshfront Fitness Center and pools, and 3.1 miles of leisure trails and an Equestrian Center. Moss Creek Plantation centers around club life. To allow potential new owners a chance to experience Moss Creek, the club offers a unique Member for a Day program. Through their Realtor, guests have access to the full slate of golf, tennis and dining experiences available. From the The Peninsula, to Salt Marsh Cottages or Stable Gate, no matter the Moss Creek neighborhood, all residents can share a common love of the Lowcountry lifestyle. In 1974, Moss Creek's developers wanted a community that would provide residents with a blend of gated privacy and Lowcountry beauty. 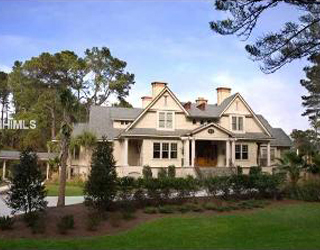 The community was to compete among Hilton Head Island plantations in its appeal to nature-lovers wanting a plantation lifestyle. Developers planned for the residences - subject to strict architectural guidelines in order to maintain the community's appearance -to take up less than half of the community's total area to allow sufficient space for nature. Lush vegetation throughout the low-density neighborhood was preserved to compliment, not take away from, Moss Creek's appeal. Moss Creek's two championship-caliber 18-hole golf courses were originally open for public play, and once hosted a prestigious LPGA tournament every year. Property owners eventually chose to close public access to their community, and the courses are now property owner exclusive. How many active real estate properties are currently listed for sale in Moss Creek , Hilton Head Island? Currently there are 53 listed for sale. Are there any foreclosures currently for sale in Moss Creek , Hilton Head Island? No, currently there are no active listings in Moss Creek with a foreclosure status. Are there any short sales currently for sale in Moss Creek, Hilton Head Island? No, currently there are no active listings in Moss Creek with a short sales status. What is the price range and average price for residential homes in Moss Creek ? The price range of the 40 listed homes for sale in Moss Creek is between 232K and 1,195K. The average price is 553K. Click here to view all residential home listings in Moss Creek. What is the price range and average price for residential condos and villas in Moss Creek ? The price range of the 1 listed condos and villas for sale in Moss Creek is between 225K and 225K. The average price is 225K. Click here to view all residential condos and villas listings in Moss Creek. What is the price range and average price for residential land and lots in Moss Creek ? The price range of the 12 listed land and lots for sale in Moss Creek is between 50K and 129K. The average price is 84K. Click here to view all residential land and lots listings in Moss Creek. What amenities a buyer should expect to find in Moss Creek ? 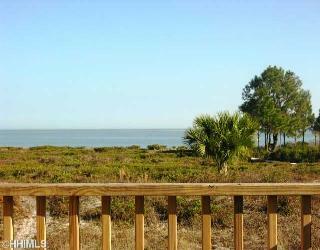 What kind of views a buyer should expect to find in Moss Creek ? Located deep in the heart of the Lowcountry, just minutes from the bridge to Hilton Head Island, Bluffton’s Moss Creek is a 1,000-acre, private, equity residential community with spectacular golf, tennis, boating and recreational programs. 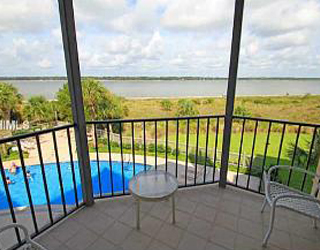 Gated with 24-hour security, and within easy driving distance to Bluffton, Beaufort, Savannah and Charleston, Moss Creek owners have a share in the amenities, the marina, the open space and the Moss Creek Club. The two members-only Tom Fazio Golf Courses are as demanding as they are beautiful. From ancient live oaks and pecan trees, to the Fording Island Nature Preserve, Equestrian Center and Spartina-covered marsh views to MacKay’s Creek, Moss Creek offers property owners the ultimate in the Lowcountry lifestyle.